The Team BRIT driver line-up for the 6-hour endurance race consisted of Warren McKinlay and Andy Searle. Both Tony Williams and Jimmy Hill were sadly ruled out due to injury. The drivers had a successful test day on Friday at the Norfolk track and were feeling confident ahead of their race on Saturday. During Saturday’s qualifying session, Warren and Andy were consistently quick and were displaying competitive lap times. The Fun Cup’s random grid draw saw the team start 7th in the endurance race. 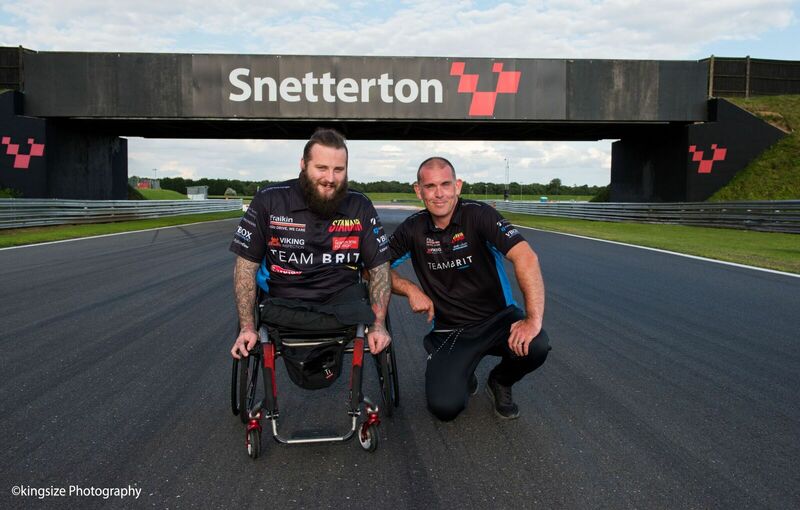 Double amputee racing driver, Andy Searle, said, “Saturday started really well, we were very consistent during the qualifying session and the car was setup nicely for the circuit. The team received an enormous amount of support from sponsors, media and special guests this weekend. They were delighted to introduce Totally Wicked, the world’s premier vaping retailer, as a new sponsor and staff from title sponsor Brit Insurance attended the race to show their support. 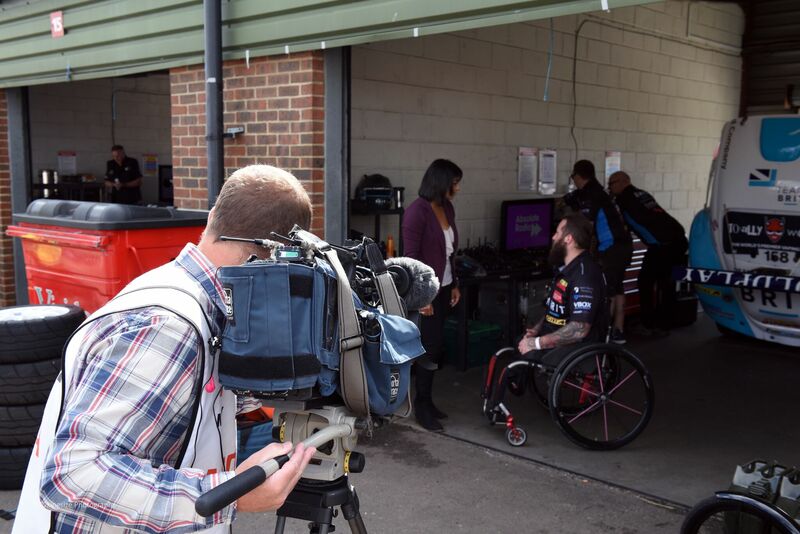 The team was also filmed by regional ITV and BBC journalists covering their story on Friday morning when they were joined by local school children supported by the charity Panathlon. During Andy’s stint, the weather took a drastic turn. The torrential rain made it difficult to see the track ahead, as well as other competitors, but Andy’s outstanding driver skill saw him hold his position during his whole stint. After completing 43 laps, unfortunate mechanical issues meant the car needed to return to the pits for further investigation. Despite working tirelessly on the car, the mechanics were unable to resolve the issue before the chequered flag. Warren McKinlay said, “The whole team were devastated that we couldn’t get the car back on track. The mechanics did their best to get the car working but it was an engine issue that will need to be resolved back at the Plans Performance garage. The team returns to the Fun Cup Championship at Oulton Park 14th October 2017.